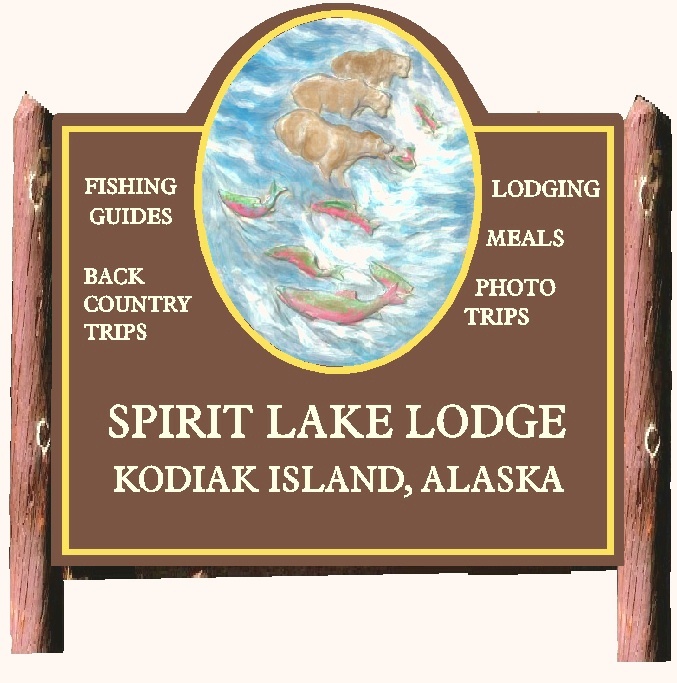 The design for this post-and-panel Alaskan sign is made of High-Density-Urethane (HDU) and is carved with our CNC router/carver. The art is 3-D bas-relief, and then artist-brushed painted with oil enamels. The sign is clear-coated twice as extra protection against the rain, snow and UV.